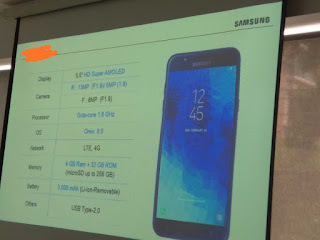 Only few days back,we did see a leak of Samsung J7 duo with user maual.Though there is number of Samsung phones are waiting to launch,now full specifications of Samsung J7 duo has been out via gsmarena.The leaked image,just look like retail box of alleged phone. 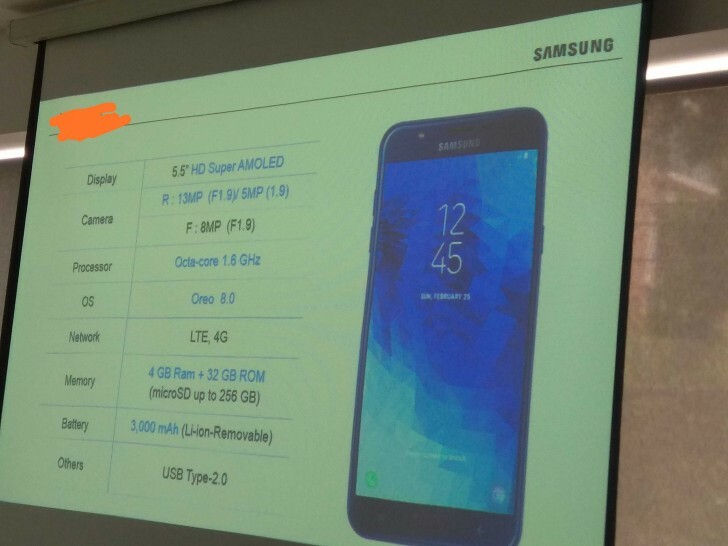 The phone will come with 5.5 inch Super AMOLED HD display,but not confirmed that it has 18:9 aspect ratio.Talking about power,it will be packed with 1.6 GHz Exynos 7870 processor with 4GB RAM and 32 GB native storage.If necessary,storage could expand further upto 256 GB via sd card.As expected,the handset is equipped with 13MP+5 MP dual camera with f/1.9 aperture on back and 8MP f/1.9 aperture single lens on front. Samsung J7 duo is pre installed with Android 8 Oreo and will be run on Samsung Experience 2 on top.It will be fueled with 3000 mah battery.For connectivity,it wil feature 4G LTE,GPS,Wifi,hotspot,bluetooth and micro USB.The phone will be available in black,blue and gold in colors.